As you may know, Silvaco has done some very clever acquisitions to fuel their unprecedented growth over the last five years. We have a wiki that tracks EDA Mergers and Acquisitions, Silvaco included, and it is the most viewed wiki on SemiWiki.com with 102,005 views thus far. I started out my engineering career by doing transistor-level circuit design and we used a proprietary SPICE circuit simulator. One thing that I quickly realized was that the accuracy of my circuit simulations depended entirely on the model files and parasitics. Here we are 40 years later and the accuracy of SPICE circuit simulations still depend on the model files and parasitics, but with the added task of using 3D field solvers to get accurate parasitic values, and even the use of 3D TCAD tools to model the complex physics of nm IC designs using FinFET transistors. 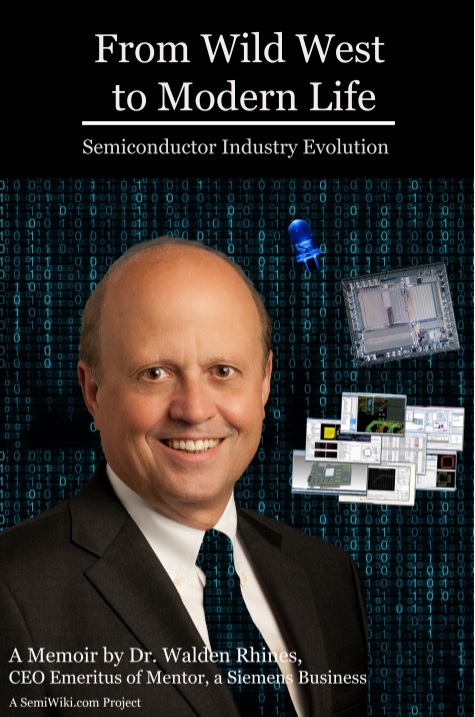 The semiconductor industry has been very good to me over the past 35 years. I have had a front row seat to some of the most innovative and disruptive things like the fabless transformation and of course the Electronic Design Automation phenomenon, not to mention the end products that we as an industry have enabled. It is truly amazing that my iPhone X has more processing power than NASA and Neil Armstrong had when landing on the moon, absolutely. It was 1988 when I got into SPICE (Simulation Program with Integrated Circuit Emphasis) while I was characterizing a 1.5 μm Standard cell library developed by students at my Alma-Mata Furtwangen University in Germany. My professor Dr. Nielinger was not only my advisor he also wrote the first SPICE bible in German language. At that time SPICE simulation was already established as the “golden” Simulator for circuit design for over a decade - and remains so to this day.